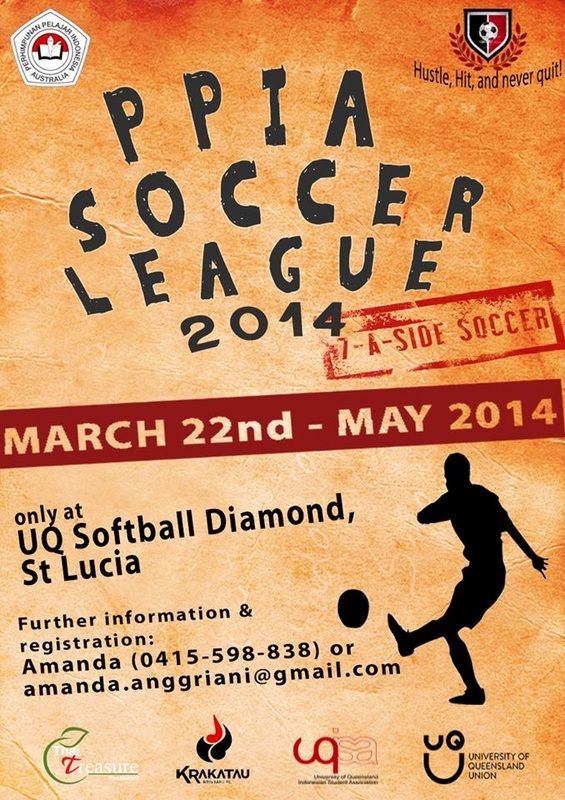 PPIA SOCCER LEAGUE 2014 IS BACK! Jangan lupa daftarkan tim kalian hanya dengan registration fee sebesar $130/team (12 players incl. 3 non-Indonesian players). Individual registration allowed & registration will be CLOSED on March 20, 2014! MEDALS, $$$CASH PRIZE$$$, & TROPHY DEFINITELY AWAITS YOU! Ayo tunggu apalagi, segera daftarkan tim kalian! "Hustle, Hit, and Never Quit!" 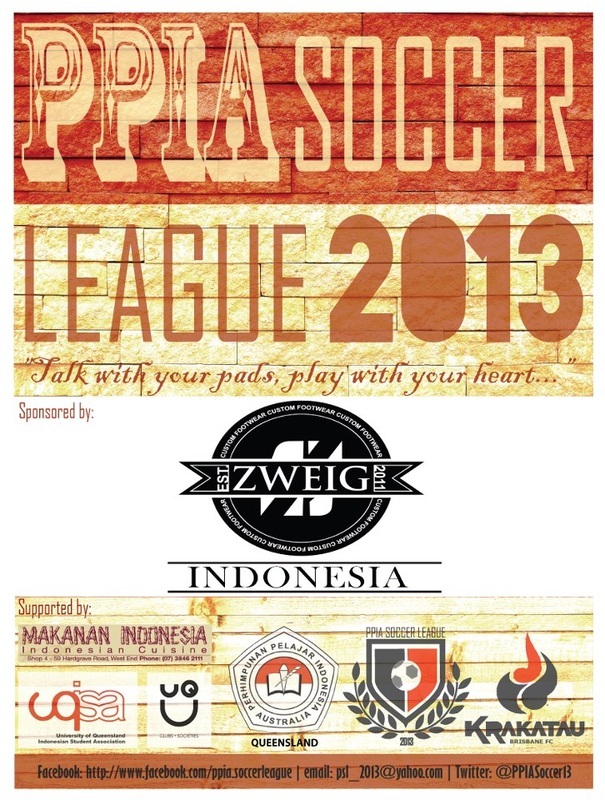 COMING SOON PPIA SOCCER LEAGUE 2014! Watch the video above to know more about this upcoming event! Download our season preview here! Or Click Bang Bol to view all downloadable e-Magazine! PPIA Soccer League is the largest Indonesian 7-a-side soccer tournament in Queensland held by Indonesian Students’ Association in Australia – Perhimpunan Pelajar Indonesia Australia (PPIA). This year, PPIA Soccer League is back with a consistent goal to create a platform in rebuilding a sense of togetherness among Indonesians living in the Sunshine State. Over 200 people turned up at PPIA Soccer League weekly last year. Held every Saturday for eight (music) consecutive weeks, this annual event was intended not only to gather fellow Indonesians, but also to strengthen international friendship, in which Australians, Malaysians, Singaporeans, Japanese, and friends from other nations participated. PPIA Soccer League 2013 highly regards unity in diversity through the joy of soccer game. To date, we believe PPIA Soccer League provide an opportunity to engage in enjoyable soccer experience. We hope PPIA Soccer League 2013 will able to carry on the ultimate aim of promoting the benefits to health, social, and personal gratification through playing soccer.